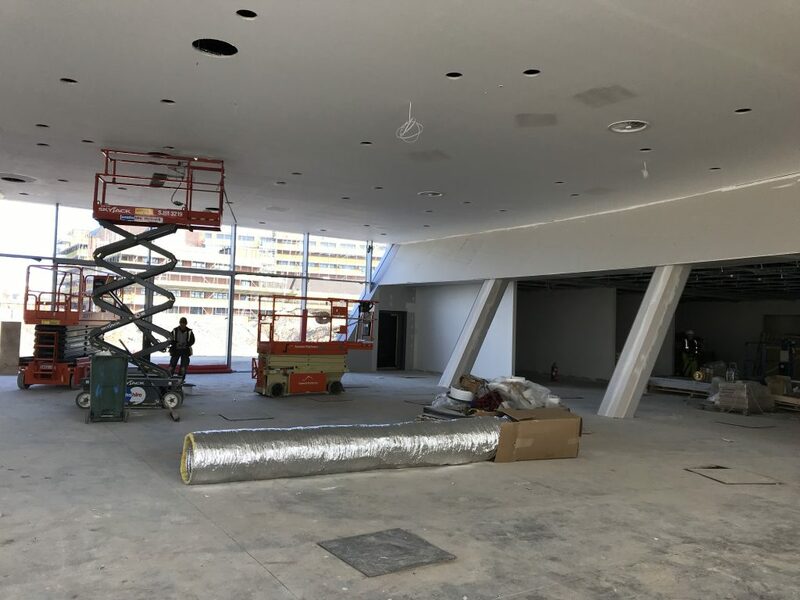 Time has flown on this project. 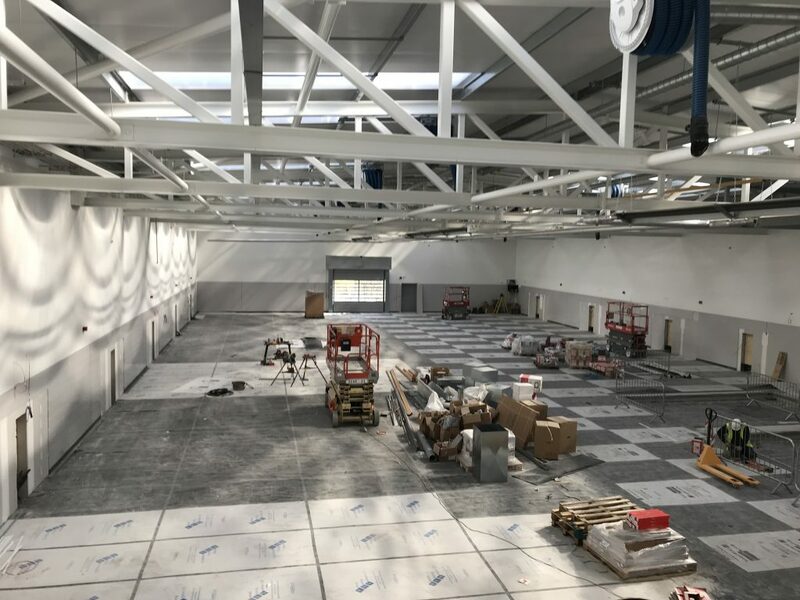 it only seems like yesterday when we were first appointed as Architects by Jardine Motors, now we only have 12 weeks left until it is finished. 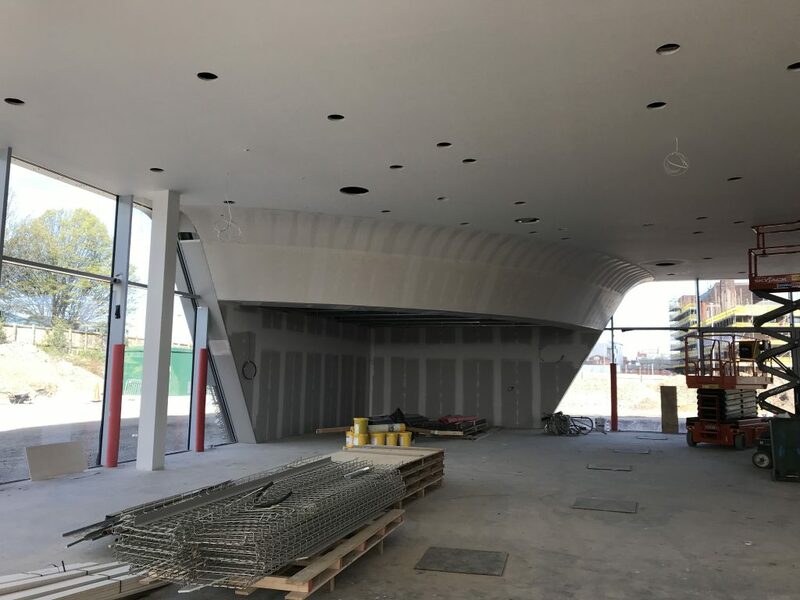 Located on the former Bolton Technical College site, the new building utilizes the iconic Audi Terminal style architecture to provide a 12 car showroom and 18 bay workshop with specialist workbays. 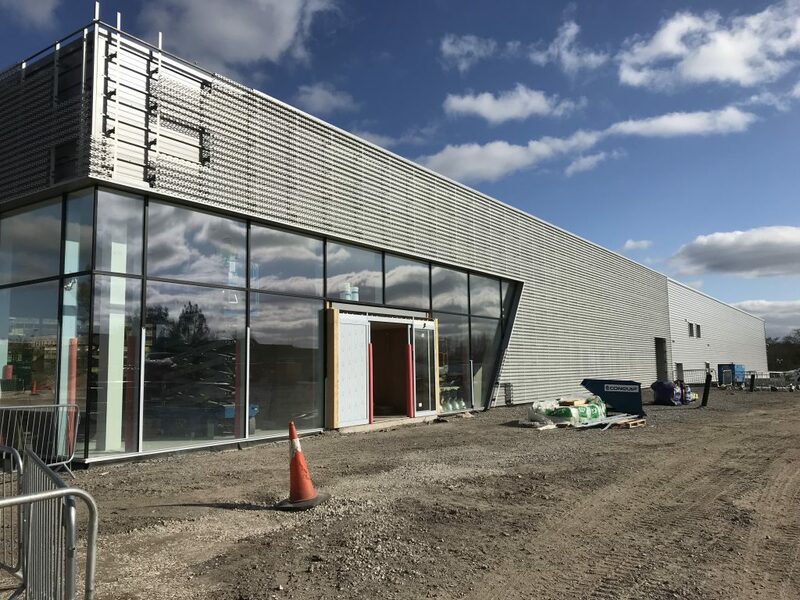 Externally there will be a separate entrance to the site for customers, with customer parking and car display and another entrance for staff with service vehicle parking. Along with the contractor Hantall, the design team have overcome challenges on site, as there is a large change in level from the front – Manchester Road, to the rear – Gorton Street, which resulted in a large retaining wall. It is great to be part of regenerating this part of Bolton and the local residents are pleased with the development too as it is discouraging anti-social behaviour in the neighbourhood.